Your little princess will be dazzling in this gorgeous, professional style fuchsia and gold kids size belly dance costume. Your little princess will be dazzling in this gorgeous, professional style fuchsia and gold kids size belly dance costume. 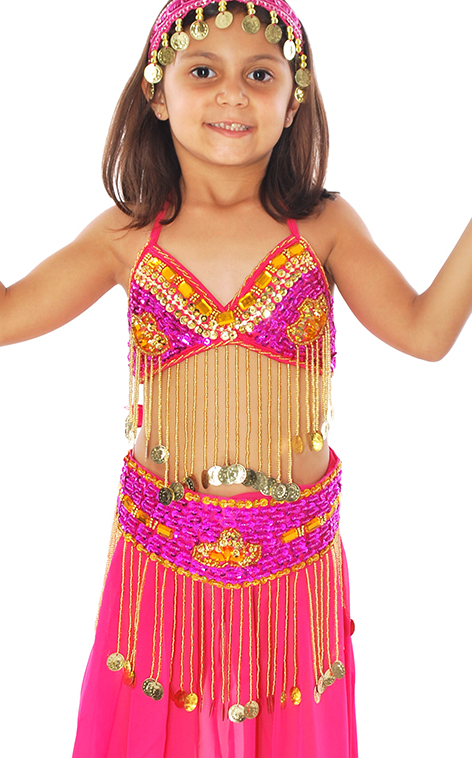 This lovely sequin beaded bedlah (top & belt) with coins and beaded fringe is a great start to any Belly Dance costume. Great for recitals, performances, Halloween, parties, and more.